When your teacher asks you to write annotated bibliography, it means that you should present a list of books and articles you have used (or will be using) for a certain investigation. However, a simple list is not enough. You are also required to provide a brief description of each source you have chosen. To present your sources in a professional manner, you should peruse them, identify central themes, and provide supporting arguments/ideas about them. Moreover, your task is to identify the relevance of each source to your main task. Students often make mistakes when trying to cope with such an uneasy assignment on their own. There is a great range of tough rules and requirements as to the structure, content, formatting, and other aspects one has to follow when creating a list of sources with annotations. However, you can avoid all that stress connected with looking for necessary sources, reading them, composing a brief description of each source, and presenting properly formatted material. At Get-Essay, students can request additional assistance with their projects and get their work done easily! Writing a annotated bibliography is important since it provides a quick review of sources and determines which of them are the most relevant ones. This composition will demonstrate your ability to process different types of sources and help you develop your independent research. And when you apply for our professional help, your chances for better results increase automatically! When composing a custom work for you, we do our best to fulfill your needs. When you order a list of sources with annotations, we make sure to find, describe and evaluate the significance of every source in the process of developing the given theme. When developing this project for you, we analyze each source in an organized and logical manner and then express our original ideas regarding the topic. Our objective is to provide not only well-written and high-quality content, but also completely unique. 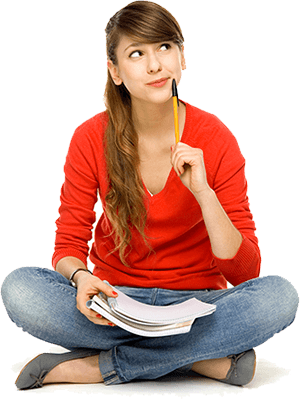 At Get-Essay, we totally eliminate any possibility of plagiarism. We follow your individual instructions and create content from scratch. We guarantee that your future project will be free from copy/pasted content. To ensure that it is so, we check every order with special plagiarism-detecting software before delivery. Moreover, you can request a plagiarism report. We are your personal, 100% reliable, round-the-clock helper, always ready to back you up when your academic projects are tough and you need help with them. It is reasonable to hire a helper at times when your education becomes unbearable. When you entrust your task to us, you receive 100% unique, correctly-formatted, well-structured paper done to your individual requirements and delivered without delays. So what are you waiting for? Entrust your boring papers to our experts and see them done perfectly!